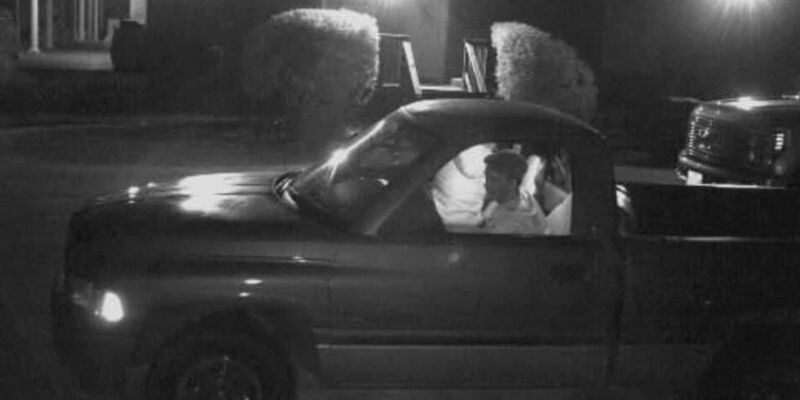 NACOGDOCHES COUNTY, TX (KTRE) - Nacogdoches Crime Stoppers is asking for help in identifying the suspects in the theft of a trailer and a Polaris Ranger ATV that occurred early Wednesday morning at a home in the 3200 block of Press Road. According to a post on the Nacogdoches Crime Stoppers Facebook page, two men drove a dark-colored pickup to a home in the 3200 block of Press Road. After a period of time, they hooked up a 12-foot, single-axle trailer loaded with a 2017 black and blue Polaris Ranger Northstar Edition and drove away. Tips may be submitted at the Nacogdoches Crime Stoppers website or by telephone by calling (936) 560-4636. The post also stated that Nacogdoches Crime Stoppers is the sole judge of reward payments. An EF-2 tornado struck the San Augustine area Wednesday night, according to a preliminary report from the National Weather Service Shreveport office.